Last March, Jake wrote a post discussing the Strengthening Church Members Committee (SCMC), following the BBC documentary The Mormon Candidate. The BBC programme was my first introduction to the existence of such a committee in the LDS church. I don’t want to go over old ground with this post however, but rather widen the discussion. 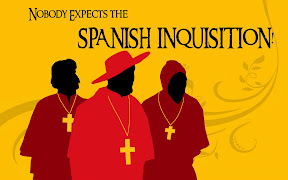 Just recently I was listening to a radio broadcast on the subject of the Inquisition. The programme discussed not only the infamous RC inquisitions of the past, but also the modern incarnation of the Inquisition: the Congregation for the Doctrine of the Faith (CDF). It struck me that, on the surface at least, there appeared to be some similarity shared by the LDS and RC churches in the patterns of church discipline, and the regulatory bodies established to assist that discipline. To set the scene: in addition to the programme presenter Ernie Rea (ER), those discussing the topic were: Dr Gemma Simmonds (GS), lecturer in Pastoral Theology (wearing the ‘RC theologian’ hat); Christopher Black (CB), honorary Professor of Italian History (wearing the ‘secular historian’ hat); and Cullen Murphy (CM) author of “God’s Jury: The Inquisition and the Making of the Modern World” (wearing the ‘author of a recent relevant book’ hat). In addition, the programme includes an inset interview with Sr Jeannine Gramick (JB), the subject of long-term investigation by the CDF. The programme opens by discussing the origin of the Inquisition, why it was established, and why some of the measures it employed historically were so very violent and repressive: religion and state were hopelessly intertwined, and a threat to one, was essentially a threat to the other. GS: I think it is a mistake, an anachronism really, to think of church and state as two separate things. This is a very modern view. In the middle ages, the early middle ages, and even in the dark ages they didn’t have such a notion. They had the notion of Christendom as such. The two were one, and therefore a threat to faith was a threat to the state and to the body politic. It’s the fact that we can’t get our minds around that. We just can’t understand a world where that was the prevailing view that makes it so difficult for us to understand how the church might have lent itself to those repressive measures. This was the first connection I noted; perhaps someone better versed in early church political history may wish contradict, but I found an interesting parallel in the oneness of church and state mentioned, and the early settlement of Utah following the exodus with Brigham Young. I imagine that to the Saints at the time, church and state would have been much the same thing. For Christendom read Zion. I don’t know whether a body similar to the SCMC existed in early Utah, but I think it is an interesting pattern none the less. I sense that as a mindset, it may still prevail. Although initially intended as an institution with benign intentions in rooting out heresy, repressive means came to be seen as justified. ER: And even the great fathers of the faith, people like St Augustine of Hippo came to the view that violence was justified to root out heresy? GS: Well, in the end. Look, we had not long ago, didn’t we, a sect in Japan that put nerve gas in the tube [underground train system]. Now I think people saw sects as mad, bad and dangerous in exactly the same way. You know if someone was putting nerve gas in the tube or spreading disease we would desperately try to contain this as being a danger to the public. We wouldn’t say, well we must let them do what they think because they’re doing it in good conscience. I think that was Augustine’s final conclusion: that there was no other way of containing what he saw as a terrible danger. The earlier inquisitions had little central control, and appear to have been established within the states: the Medieval Inquisition. The role of the Inquisitions was to root out apostate groups, such as the Cathars. Where inquisitors over-reached themselves in brutality they were disciplined by the RC church. The argument is also put forward that in general the church was acting to moderate the situation on the ground. The Spanish Inquisition took place following civil war, and was in part an attempt to assert the strength of the monarchy. CB: It’s primarily to bring back in line Jews who’ve been converted to Christianity and were with greater or lesser veracity accused of backsliding. And the Catholic monarchs wanted to make sure that backsliding stopped. There is the argument that the Jews, converted Jews were actually rather good Christians, and that various people in Spain, around Seville and so on, were fighting an economic battle and a racial battle, more than a religious one. GS: Torquemada is the name everybody thinks about with the Spanish Inquisition. Torquemada was actually somebody who reformed the inquisition. Apart from anything else, he’s famous for getting much better food in the Inquisition prisons, and for regulating brutality, so that regularly people who were on trial for secular crimes committed blasphemy in court in order to be handed over to an inquisitorial court because they thought they were less likely to get brutalised and tortured, and they’d get better nosh [food] while they were in prison. Later, Inquisitions were centralised within the Roman Inquisition, and controlled from Rome. ER: Christopher, it is your thesis I think, that the Roman Inquisition, the Italian Inquisition, had an educational purpose? CB: Yes it is a re-educational one. And some inquisitors are more enthusiastic on the educational side, some are less so. The other dimension of course, of re-education is, shall we say, stage 2 of the Roman Inquisition. Once you’ve [reached the] 1560s – 70s, you’ve really controlled the Protestant threat, then the inquisition moves over to issues of morals, good liturgical procedure and so on. And that is where the real re-education comes in. And if you want to be an advocate of the Inquisition, you can argue, and some people have argued, that that is actually beneficial in eradicating all sorts of pretty nasty popular ideas and accusations of witchcraft and so on. Sometimes, in those brutal times, the inquisitors looked like the good guys. We might liken those brutal times to the brutality demonstrated in America at the time of the Restoration, the mob rule, the ways in which law and order were enforced or otherwise. There appear to be echoes of Correlation in the educational duties. I was intrigued by the gradual change of emphasis from eradication of apostate groups; the Cathars etc. through to one including attempted control of a more existential threats. I see parallels to emphasis on polygamous groups (Elder Holland gave this as the main reason for the the existence of the SCMC), extending to control of ideas and information (as in the September Six). This is the modern Inquisition of the RC church today. GS: The stated purpose of the Congregation for the Doctrine of the Faith, again, is to act as a regulatory body, to protect the Catholic teaching in faith and morals. And if you look at what it does, I mean, oddly enough in 2007 there was a group of nuns excommunicated in Arkansas. Well, they believed that the foundress of their order was the reincarnation of the Virgin Mary. This is quite clearly not Catholic teaching. I’ve read the letter that the Bishop who actually excommunicated them wrote locally, and he said in great sorrow, while this can no longer be called a Catholic order, these are wonderful, good women, and I want you to treat them very kindly, and honour them for what they’ve done for people in the past. So, you know there’s that side of it, which one can understand, but it has to be said, that while the what is perhaps so much in question, the how, how they go about things is hugely questionable. It is at this point in the programme that the interview with Sr Jeannine Gramick is introduced. ER: Sister Jeannine Gramick has been under investigation by the Congregation for the Doctrine of the Faith for nearly 30 years. Her alleged problem is that she spent most of her working life ministering to gay and lesbian people. ER: How did you find out that your ministry was suspect in the eyes of the Catholic church? JB: As long as the ministry was private, there seemed to be no problem. The problems came when there was visibility, and there were articles in the newspaper and when individuals who didn’t think this was something the church should be doing would make complaints then to the Bishop. So, visibility resulting in complaints to ecclesiastical authority were the triggers for the investigations that ensued. ER: The reality is that in 1999 you were basically banned from gay ministry, and that came from the Congregation for the Doctrine of the Faith and it was announced by Cardinal Ratzinger. JB: Yes, it was a notification from the Congregation for the Doctrine of the Faith, signed by Pope John Paul II, but issued by Cardinal Ratzinger, made very public, published in L’Osservatore Romano, press release sent out, and finally the Vatican told us what they wanted us to say. They said that you must make a declaration that you beg pardon for these errors. and that you publicly affirm the teaching of the church on homosexuality. ER: And you weren’t prepared to do that. JB: No, not at all. ER: How do you feel about the Congregation for the Doctrine of the Faith now? Because many apologists for it would say that it is a benign organisation, even though it is a remnant of the Inquisition. Reactions to this interview were discussed, widening in scope. CM: There is a terrible irony about the way the CDF proceeds. The Vatican, at this point, does not have any sort of hold or power over people who decide to opt out of the church. Its impact is essentially zero. CM: That’s right. And the only people over whom it has power are people who have some degree of investment and loyalty in the institution itself. GS: I think what’s more scandalous to most people, for whom these theological quarrels are quite meaningless really, is the secrecy, the lack of transparency in the methods which the CDF seeks to do what is, I do actually think, a legitimate thing. We nowadays accept the existence of regulatory bodies in all sorts of sections of the population, like the medical profession for instance, all sorts of legal professions, political sections have regulatory bodies. It’s a regulatory body. It has the right to regulate what people say and do in the name of the Catholic Church, but I don’t think it has the right to do it in the way that it is currently doing it. The criticisms of lack of transparency, secrecy, methods have been levied at disciplinary procedures and at the SCMC in particular, within the LDS church. This is the society in which we now live. The paternalism, respect of authority figures and such, of earlier times is gone. In today’s society we demand information, there is legislation governing freedom of information for public bodies, and perhaps we feel that by extension, churches should make available that same freedom of information. 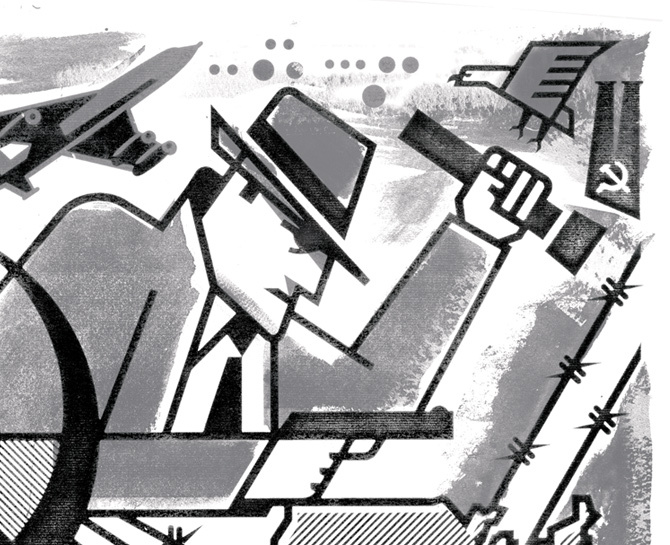 Cullen Murphy’s book draws parallels between the historical Inquisitions and similar activities carried out by the state in more modern times: Stalinist purges, McCarthyism and more recently Guantanamo Bay. ER: But isn’t that just modernity, and I would also point out it that the other thing that you have to have is moral certainty. You have to have absolute conviction that your ends are pure. CM: That’s right, and it is the combination of moral certainty with modernity, just to put it in a nutshell, that I think creates a very dangerous situation. CB: One idea that worries me about Cullen’s argument is the idea of continuity, from the Inquisition to the present. Now, I’ve got into trouble before for, by in sense, stressing that the Inquisitions, once they are fully established bureaucratically are legalistic. They are governed by rules. They are governed by manuals. And that controls torture, trial procedure and so on. What Cullen points to in the 19C, 20C, McCarthyism, all these sorts of things, you don’t have the same kind of rule book mentality, and I think there is a difference in the mentality of people who are using torture, surveillance and so on, but I think it is rather different from the mentality of the real Inquisitors. And they have moral certainty, but that also included a certain sense of jurisprudence, and you don’t have jurisprudence in what goes on in Guantanamo Bay. Because society and public bodies are generally more open and transparent, the lack of openness etc. can make the behaviour of the churches look more like McCarthyism (one of the commenters on Jake’s post made just that comparison) and the other murkier things going on, past and present. This is not a good thing. CM: I would say the Inquisition teaches two things. One of them is that you really can’t set out to accomplish what inquisitions try to accomplish. Period. In the long run it never really works. And this teaches a second thing, which is a certain kind of humility that human beings ought to have in the regulation of their affairs. GS: I would agree with Cullen. And as a Catholic theologian, I look at the Inquisition as a tragedy within the church. I look at the existence of a regulatory body as something that is acceptable, but acceptable under very, very stringent rules of transparency and fairness. Do the ends ever justify the means? Is there a need for a regulatory body? Could investigation by the SCMC and becoming subject to subsequent disciplinary procedures come to be seen as a ‘badge of honour’ ? Is there jurisprudence: do church disciplinary procedures and bodies, including the SCMC, follow laid down rules and procedures, with proper representation; are they fair? Would the church benefit by being more open: both about any rules and procedures, and also more open with those under investigation? Does it work long term? Did the cases of the September Six, for example, accomplish what the church was hoping to accomplish? #1,To paraphrase the Chief Monk? There’s reformation and reformation. Justice and the like must have been pretty grim all round back then. It’s interesting to hear Torquemada being defended. Funny how context changes perspective. I visited a previous Inquisition prison in Sicily. Prisoners had scrawled words all over the walls, begging for release or death, asking god for mercy. Most of the prisoners were homosexuals and women. They were powerless to defend themselves from the reach of the patriarchal church. Personally, I think transparency is a good thing. Look at how many examples of questionable actions have come to light, resulting in some correction from the church. We’ve entered an era where actions that are indefensible will be published in the media. We’re not ready for that yet, but we’ll have to be. The wizards want to stay behind the curtain. The scary reverence some members have for the leaders makes them want to stay there. Even as a non-believer, I sympathize with their plight. Although in the end, they put themselves there. The St Peters List website has an page on Inquisition apologetics. I was glad GS acknowledged it as a tragedy at the end of the programme. Seen as threat by patriarchy then and now then. I Certainly think there needs to be transparency, and given how worried the church seems to be about image and PR generally, I can’t see that it won’t at some point. I think that an “inquisition” becomes important depending almost totally on the potency of the threat that backs it. Granted, if you think that your eternal soul is at stake, that can be a pretty potent threat by itself. But it has lost much of its impact in cultures that often don’t believe in eternity, or at least in the power of institutions to impact one’s eternal fate. there is a tremendous difference in scale about what we find repressive in the west, and what goes on elsewhere today when the elements of political cover and personal demons run amok. It’s a good reason to be a bit phobic about the earliest symptoms of such tendencies. As the OP says, nobody does expect the Spanish Inquisition until it might be too late to stop. In essence, the Khmer Rouge also created an inquisition. People who were city dwellers or educated had to pretend to be rustics and poor farmers or they and their families would be killed because the leaders needed people to stay uneducated and dispersed so that they couldn’t resist. Sounds a lot like how many political oppressors keep people in line. However, as I wrote that, an unsettling parallel to the September Six came to mind: intellectuals were targeted (excommunicated) and members were told to avoid attending symposia. And that would matter to the Six, as to the nun in the OP, to the extent that excommunication was seen as having consequences. And yet, I think another consideration is that the swifter the action, the more tenuous the position of the would-be oppressor. The church did not act very swiftly. Protecting the brand isn’t the same as saving souls. Either way, authoritarians playing the God card is ridiculous. But ridiculousness practically defines us as a modern civilization. #5 – and we see the publication of the side by side comparison of changes for the new edition of the scriptures. Hooray! I gather Britain has broad Freedom of Information legislation when compared to other nations. There are sometimes complaints about time-wasting requests for information, and groups indulging in fishing expeditions. However, it certainly paid off for the Telegraph newspaper and the public when it came to uncovering MP expenses. A huge scandal, uncovering both poor practice and in some cases criminal behaviour. I don’t think the general public has any faith in the ‘you can trust us to do our duty’ line any more. Of course, some will, but there are all too many who don’t. Which filtered down to me as people not being allowed to get together in unofficial groups to discuss gospel topics. It sounded both bizarre and extreme. I heard vaguely that some people somewhere had been excommunicated, but no details. That was a busy month & year for me, I was flitting backwards and forwards between two wards, my sister had just got married, I was at the ‘must finish writing and submit my thesis, and get a job’ stage of life, which pretty much consumed all my thought and time, so I didn’t have any more detail until last year. I do think symposia are rather different to informal gatherings, but informal discussion groups at members homes were stopped as a result. I don’t know that many members in Britain were even aware of the symposia or circumstances of the excommunications that had taken place, which would be why any informal groups were stopped. I do think the general membership might have benefited from more openness at the time, about exactly what had happened – and so the CDF in at least making the result public in the L’Osservatore Romano would seem to be ahead of us on that one. Neither did the CDF, 30 years was a pretty lengthy investigation. Do we have any details about the length of investigation by the SCMC?